8 August 2017: Chicago has joined a number of US cities and states suing the Trump administration over its threats to deny federal funding to so-called sanctuary cities, cities which provide undocumented immigrants with some protection against deportation. Chicago Mayor Rahm Emanuel said the city would not let police officers become political pawns in a debate on immigration. "Chicago will not let our residents have their fundamental rights isolated and violated. And Chicago will never relinquish our status as a welcoming city,” the Mayor detailed. Jeff Sessions, America’s Attorney General (justice minister), has said that his department would withhold justice assistance grants from cities that fail to comply with new requirements to allow federal Homeland Security officers to enter local prisons. In the past, cities have used the grants to finance police training programmes or buy police equipment. In its lawsuit, Chicago argued that the new requirements would be ‘federalising’ local prisons and require cities to violate the Fourth Amendment of the US Constitution, which requires probable cause for an arrest and blocks what it calls unreasonable search and seizure. Both, US President Donald Trump and his Attorney General have said that the actions of sanctuary cities were designed to frustrate the enforcement of immigrations laws. Mayor Emanuel has answered the attorney general by defending Chicago as a "welcoming city," one that encourages all of its residents to cooperate with police. Rather than frustrating law enforcement, as Jeff Sessions alleged, a spokesman for the Mayor said Chicago "promotes public safety by ensuring that no city resident, regardless of their status, is afraid to cooperate with law enforcement, report criminal activity to the police, serve as a witness in court or seek help as a victim of crime." Recently, the beleaguered Attorney General - perhaps to please his boss - has increased his attacks on sanctuary cities. Cities that were singled out for ‘punishment’ include San Francisco, New York City, Philadelphia, Chicago, Baltimore, Albuquerque, San Bernardino and Stockton. The threat to withhold federal funding marks Jeff Sessions’ latest effort to force local authorities to cooperate with federal immigration authorities. It is part of a push to reduce crime which the Attorney General believes is linked to illegal immigration. Jeff Sessions has pledged to make fighting street crime the Justice Department’s top priority, but the strategy is putting him at odds with some city leaders, who say the best way to fight crime and build community trust is to keep local police out of federal immigration matters. The Trump administration has claimed that blocking funding to sanctuary cities is necessary to combat crime and gang violence. Officials argue that by not using local police to aid the rounding up of illegal immigrants, cities like New York, Philadelphia, Los Angeles, and Chicago allow immigrants to live there illegally and contribute to crime. But most mayors of sanctuary cities, as well as police unions have rejected this assertion, arguing that it is easier for law enforcement to address crime by maintaining a peaceful relationship between local police and immigrant communities. According to available data, this connection between sanctuary cities and crime is tenuous at best. An analysis of crime data by Tom Wong at the University of California at San Diego has found that sanctuary cities actually have lower crime rates than non-sanctuary cities. And studies have found that illegal immigrant populations do not show higher crime rates than citizens. There is no legal definition of a ‘sanctuary city’. 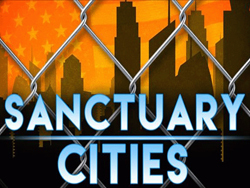 Earlier this year, the US Department of Justice and the Attorney General defined a sanctuary city as any local government that does not comply with federal immigration law. Despite the name, the term ‘sanctuary city’ can mean a city, a county and even a state. According to the San Diego-based legal news agency Dopplr, there are 171 jurisdictions that have officially enacted sanctuary policies - the most common of which is a refusal to honour Immigration and Customs Enforcement (ICE) detainers without a warrant for the individual’s arrest. 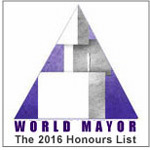 Of those 171 jurisdictions, 37 are cities, four are states while the rest are counties. The number of cities that have official policies of not fully co-operating with federal immigration deportation and detainer requests is growing - Berkley, Califonia, has said that it would strengthen its sanctuary city protocol - but there are also cities that don’t like being labelled sanctuary city. Aurora, Colorado, which is on the Dopplr list of sanctuary cities, insists it is not a sanctuary city. Meanwhile, the Republican Governor of Texas has signed a ‘sanctuary cities ban’ that lets police ask during routine stops whether someone is in the US legally and threatens sheriffs with jail if they don’t cooperate with federal immigration agents. Sanctuary cities in the US offer a degree of safety to immigrants without work or residency permits. Leaders of sanctuary cities want to reduce the fear of deportation and possible family break-up, so that such residents will be more willing to report crimes, use health and social services, and enrol their children in school. Most of the United States’ estimated 11.1 million undocumented immigrants live in just 20 major metropolitan areas, with the largest populations in New York, Los Angeles and Houston, according to new Pew Research Center estimates based on government data. The analysis shows that the nation’s undocumented immigrant population is highly concentrated, more so than the US population overall. In 2014, the 20 metro areas with most undocumented immigrants were home to 6.8 million of them, or 61 per cent of the estimated nationwide total. By contrast, only 36 per cent of the total US population lived in those metro areas. 24 April 2017: The US Justice Department recently sent our letters to nine so-called Sanctuary Cities, including New York, Chicago, New Orleans and Philadelphia, warning them of the withdrawal of federal funding unless they publically participated in finding and deporting undocumented immigrants. Sanctuary cities in the US offer a degree of safety to immigrants without work or residency permits. Leaders of sanctuary cities want to reduce the fear of deportation and possible family break-up, so that such residents will be more willing to report crimes, use health and social services, and enrol their children in school. Municipal policies include prohibiting police or city employees from questioning people about their immigration status and refusing requests by federal immigration authorities to detain people beyond their release date, if they were jailed for breaking local law. 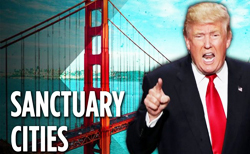 There are more than 140 sanctuary cities or counties in the US, including large cities such as San Francisco, New York, Chicago, Seattle and Los Angeles. With the exception of a few smaller sanctuary communities, US cities have so far rejected the Trump government’s ‘threat’. Milwaukee County Supervisor Marina Dimitrijevic said they would not give in to these threats and promised to go to court if any funding was withdrawn, while mayors of some of the USA’s largest cities have publically stated that they would not be bullied by the federal government.